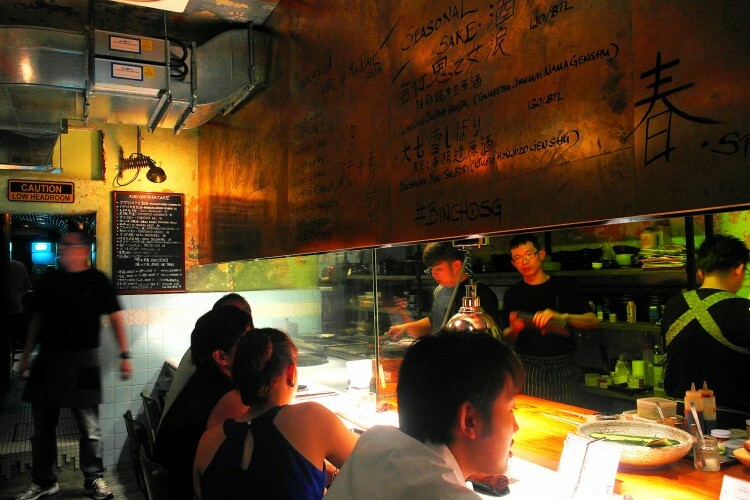 Inspired by a yakitori-ya (traditional small grilling stalls) in Osaka, Bincho, which means Japanese Charcoal, is a unique small restaurant located at Tiong Bahru. 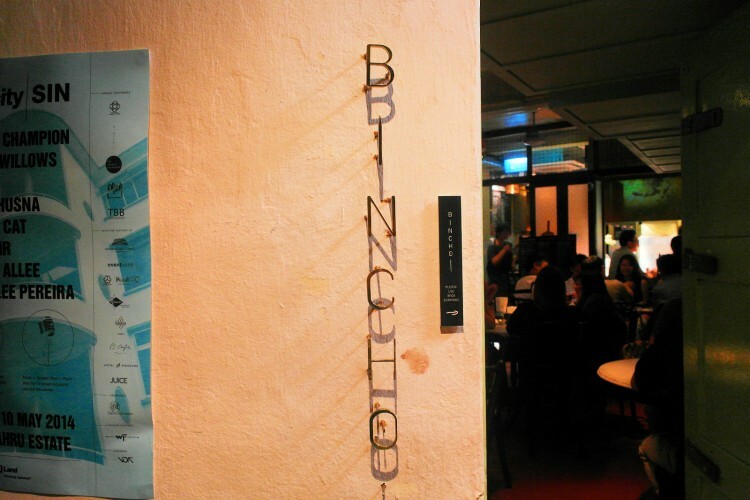 As one of the country’s more peculiar dining spots, Bincho has been turning heads since operation with its interesting all-in-one dining concept which showcases a neat mix of Singapore’s past, present and future. The venue used to be a traditional ‘kopitiam’ (coffee shop), and has since been transformed into a yakitori-ya inspired bistro. Bincho in the day sees the mee pok stall still selling classic mee pok as well as coffee and toast, while opening up the space at night for Bincho itself. The unique feature of Bin Cho is the old school Mee Pok stall right smack in the centre of the restaurant, giving patrons a taste of nostalgia. 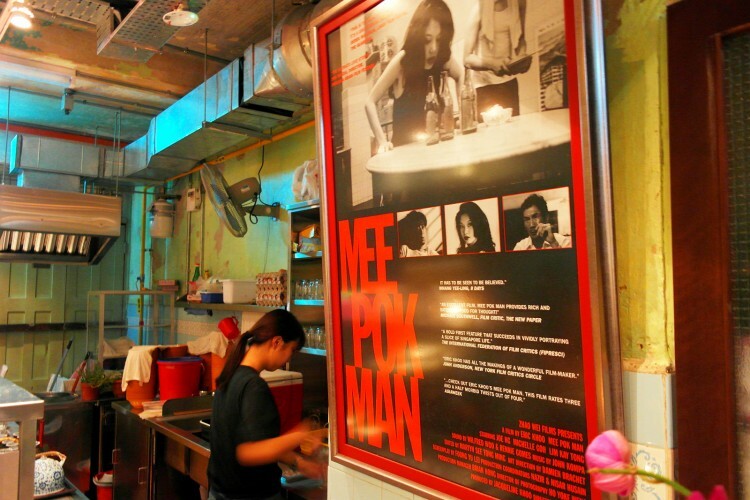 This was also the venue where the local film “Mee Pok Man” was filmed. Today we’re trying the omakase menus, which change daily according to the Chef. There are 2 variations: the Fuji ($80) and Bincho ($120) menus, which deliver different qualities at different price points, of course. Most of the items can be ordered via a la carte as well, so don’t worry about getting what you like. ‘Overwhelming’ is an understatement to describe the number of items we tried tonight, so we’ll just be highlighting some of the key items on the individual menus, which tend to overlap as well. Assorted Appetiser. We started our meal with an assorted appetiser platter which, in spite of the unique choice of food items, tasted pretty decent to me. There was octopus, fried salmon, bitter gourd in tofu as well as chicken pate. 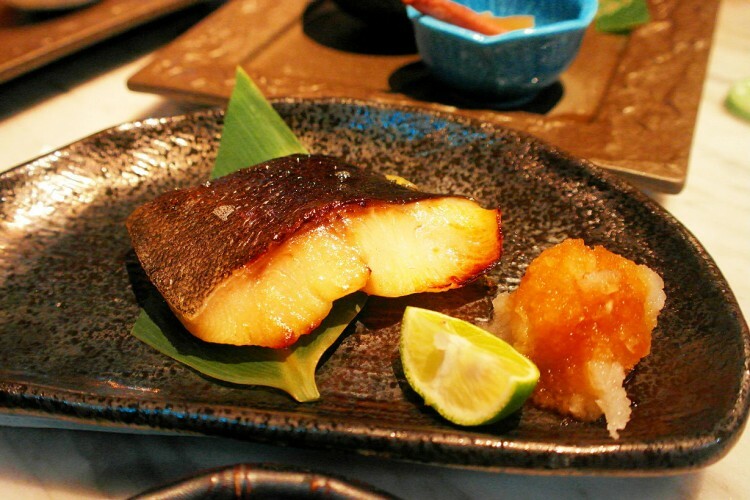 Miso Cod. The fish meat was smooth and succulent, and brought with it a slight smokey flavour. 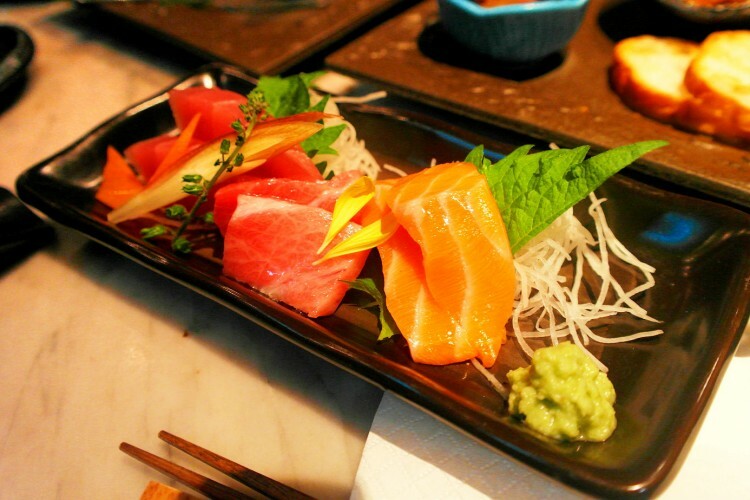 Assorted Sashimi. Salmon, Tuna belly and Tuna. The fresh fish is rich and fatty, and provides a rich burst of single flavours in every bite. Goes well even without any wasabe or soy sauce. 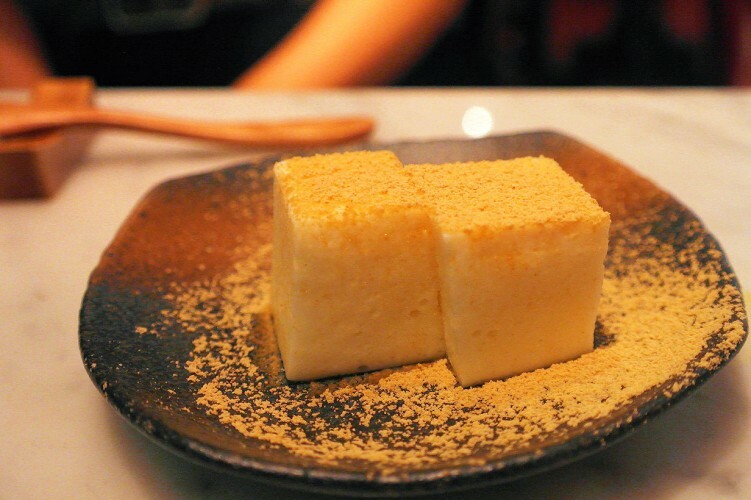 Hokkaido Tofu. 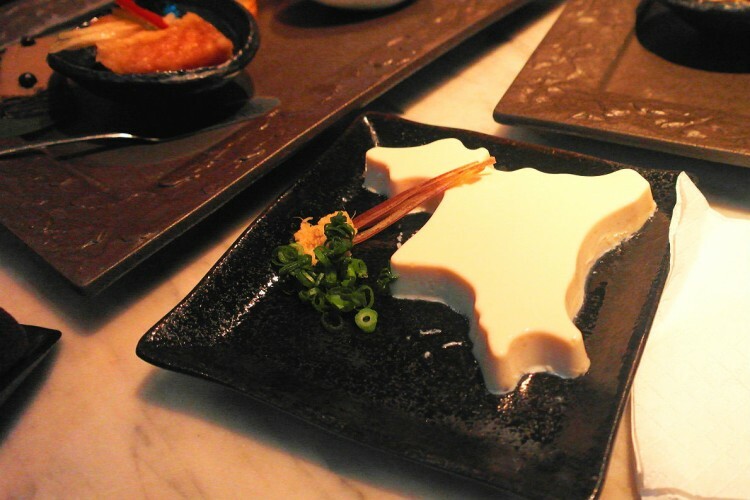 This curiously shaped tofu dish is actually modelled after the shape of the Japanese Hokkaido island. Lamb. Succulent lamb meat that surprisingly does not taste gamey. The meat is tender and very flavourful. 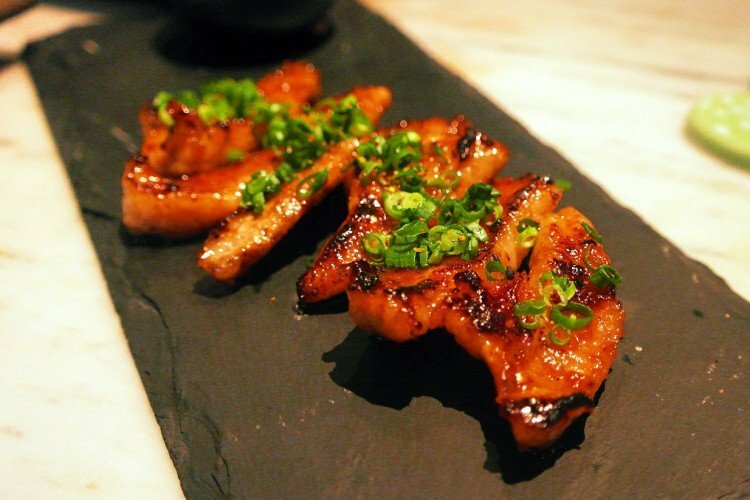 Yakitori. Charcoal grilled chicken that exploded into juicy flavours with every bite. 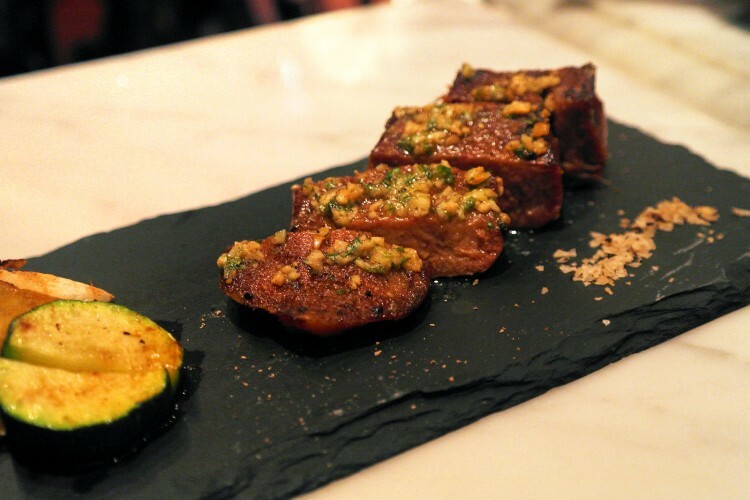 The slightly sweet glaze on top of the meat added an extra zest to the entire sensation. Goes very well with an alcoholic beverage. Sakura Ebi Karage. 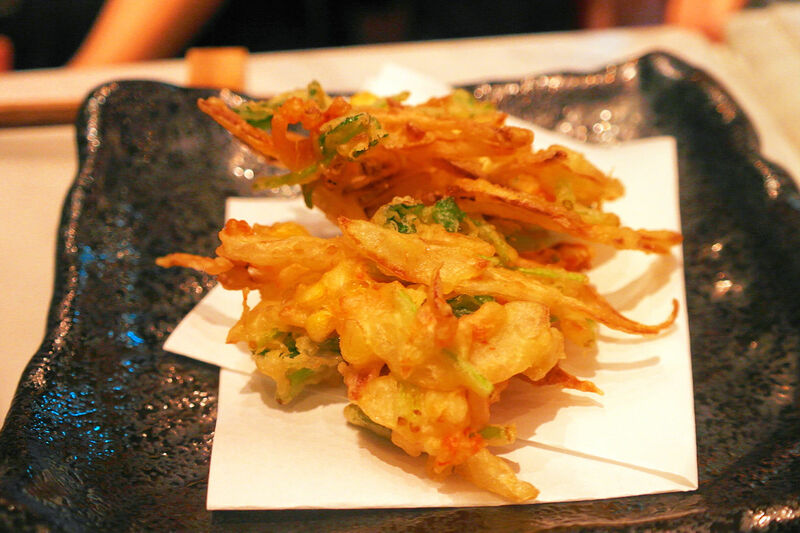 Crispy fried shrimp with a very light tempura batter, so it was’n’t as oily. 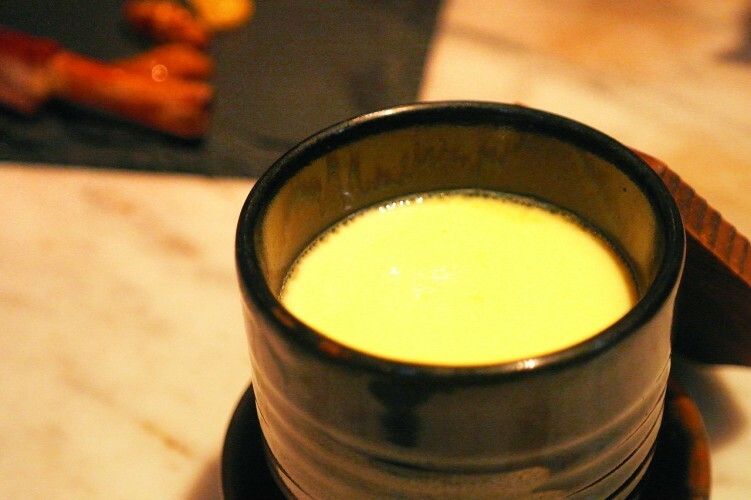 Chawanmushi. Smooth, delicate egg custard that has a soft and silky texture. It has a certain thick egg taste that I really enjoy. 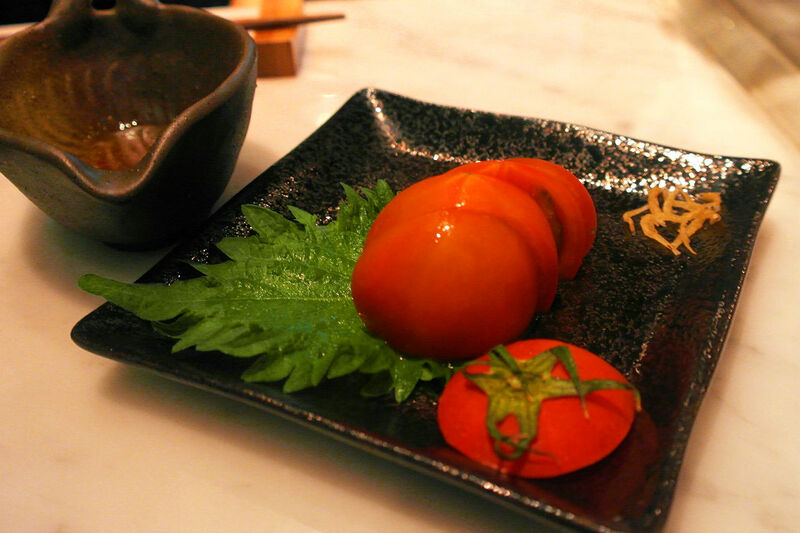 Momotaro Tomato. Very juicy slices of momotaro tomatoes that has a unique combination of being both sweet and tangy. The Japanese always produce simple fruits that become works of art. Chicken heart. The chicken heart gave off a nice crunch to the bite, and was very chewy. I really enjoyed it with a cup of saké. 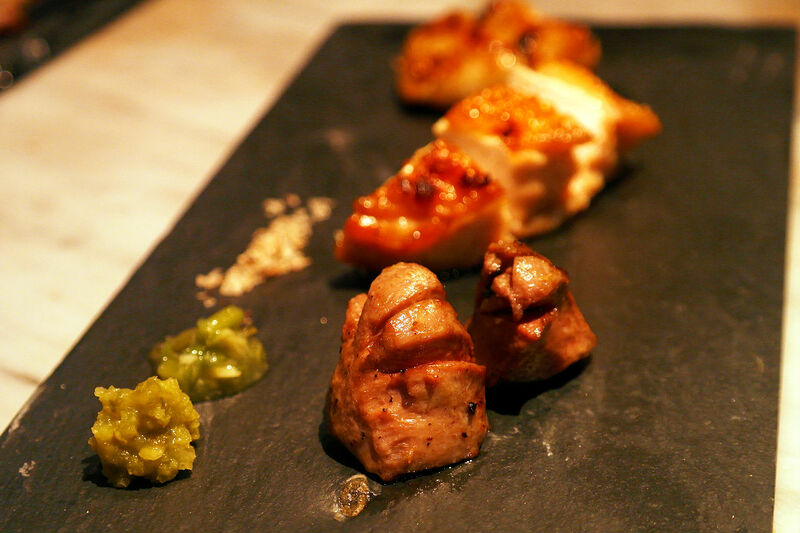 This is part of the yakitori dish, which you can choose which parts to have. The innards are all cleaned very well and doesn’t have any of the powdery iron taste. Quail. 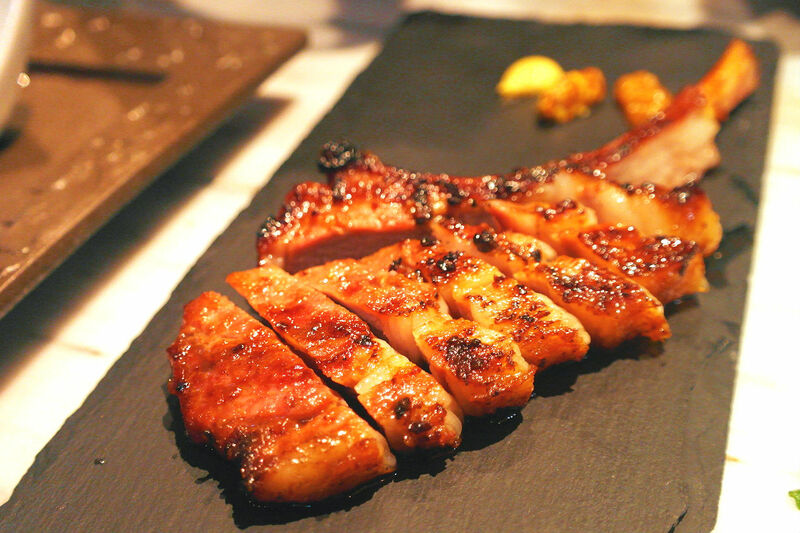 I felt that the meat had a distinct assertive flavour – much stronger than chicken, but not as flavoured as duck. The meat was tender and juicy, however there wasn’t much meat to be enjoyed on the small bird. Tsukune and Egg Yolk. Minced pure chicken neck meat that tasted nothing short of delicious. 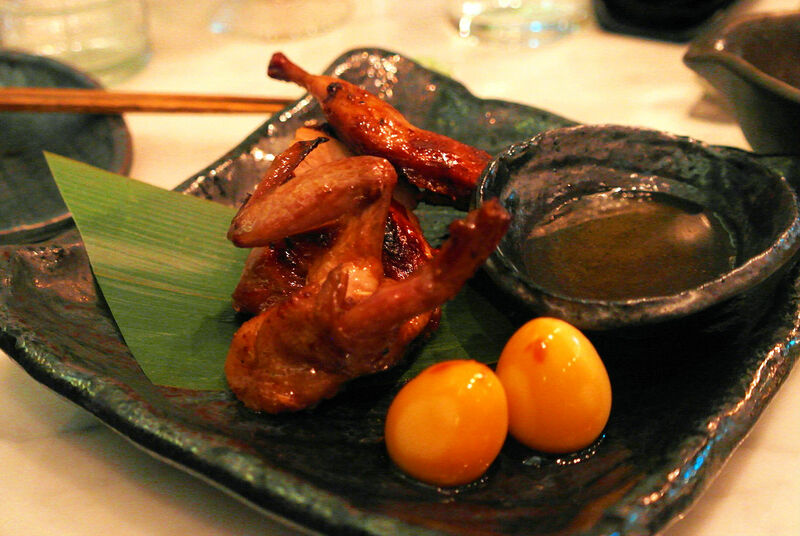 It is served with a single egg yolk, which is poured on top of the meat and then mixed. The result is rich, creamy, and full bodied neck meat that was very soft and tender to chew on. Beef Tongue. The beef tongue tasted very much like short rib, much to my pleasant surprise. Tender texture that melts in your mouth like butter, and coats your palate with the savoury spices it is cooked with. 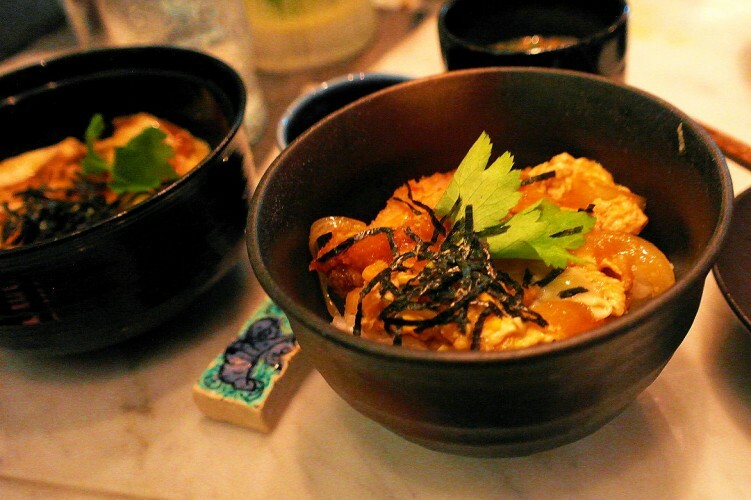 Katsu Don. 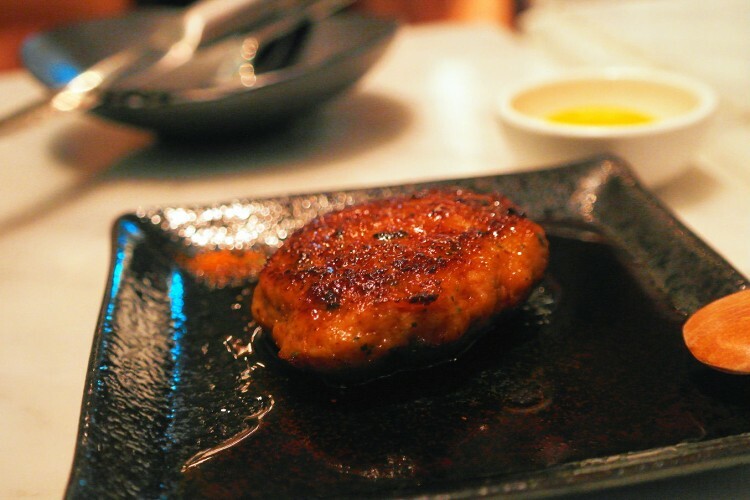 Generous servings of succulent deep fried pork cutlet, a very good dish to fill your belly. Mochi Mousse with Black Sugar Sauce and Soya Bean Powder. Rich and creamy in taste, slightly heavy yet very easy to swallow. Melts in your mouth and leaves you longing for more. Amao Strawberry. I’ve never been one to appreciate strawberries, but these really take the cake. 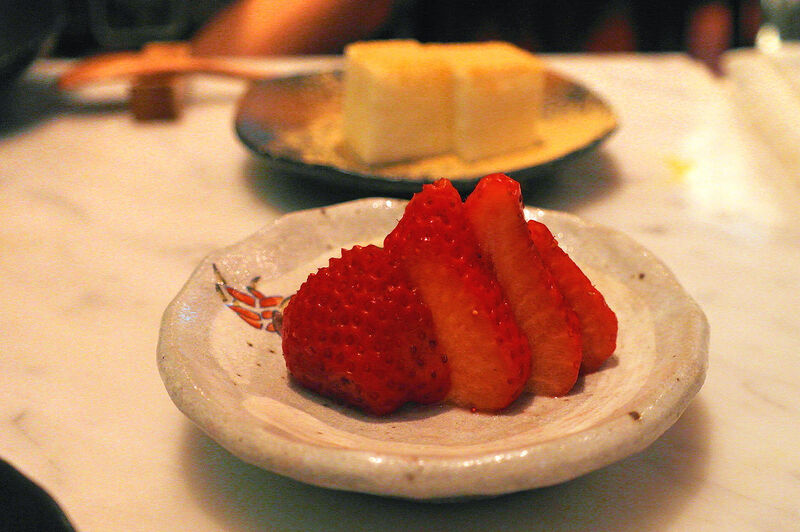 Probably the best strawberries I’ve ever had, they were tremendously juicy and sweet. 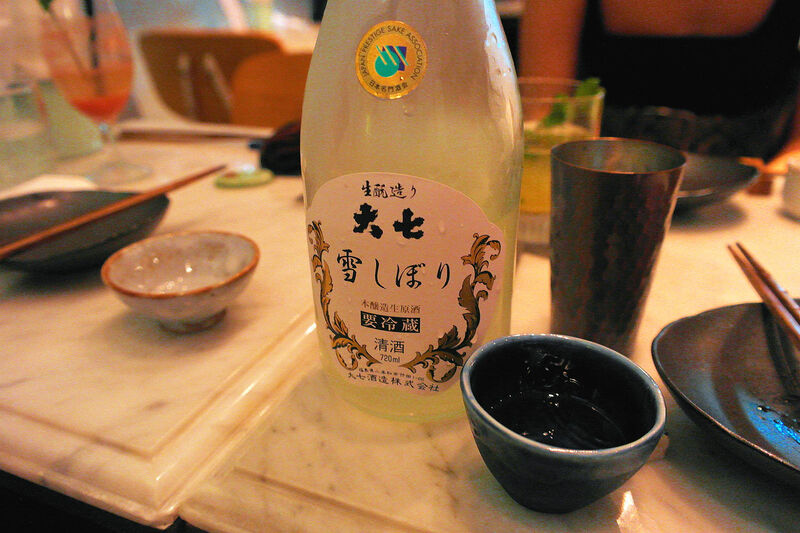 Yukishibori Sake (seasonal $130). Smooth, fruity and so easy to drink. This was an excellent sake to compliment the meal. 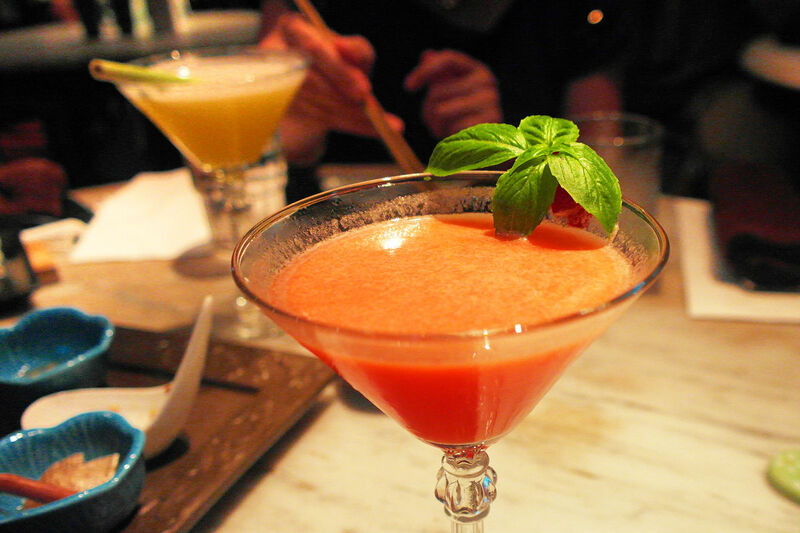 Raspberry – Mixologist menu ($23). Made with fresh fruits, the alcohol is barely tasted which is the hallmark of a good cocktail. 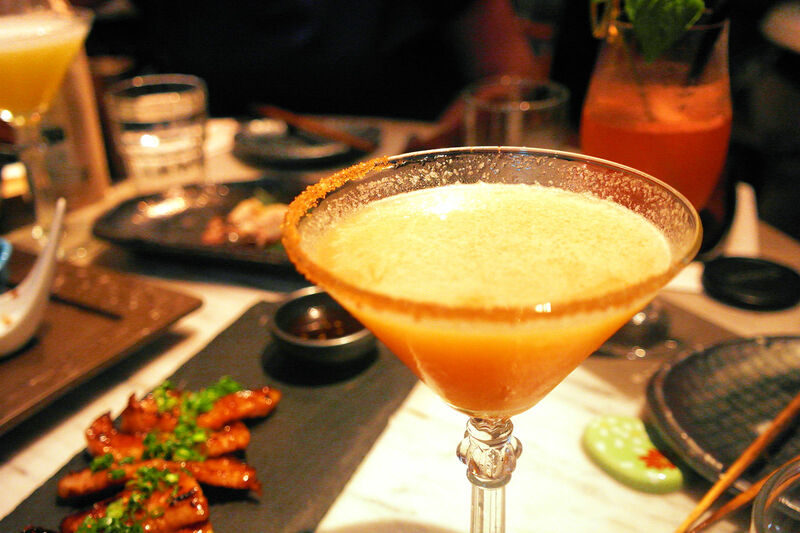 Cinnamon – Mixologist menu ($23). Distinct apple and cinnamon flavours with cinnamon infused sugar rimmed on the glass. 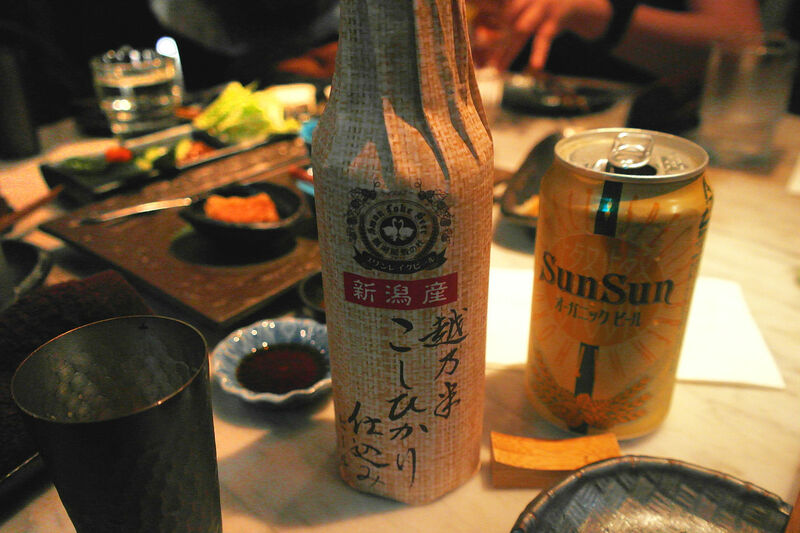 Bincho also serves specialty imported beers from Japan like Sun Sun Beer ($15) and Swan Lake, Porter ($24). Amazing food and cocktails, expect to see a fairly hip and food loving crowd sipping on sakés and cocktails into the night. 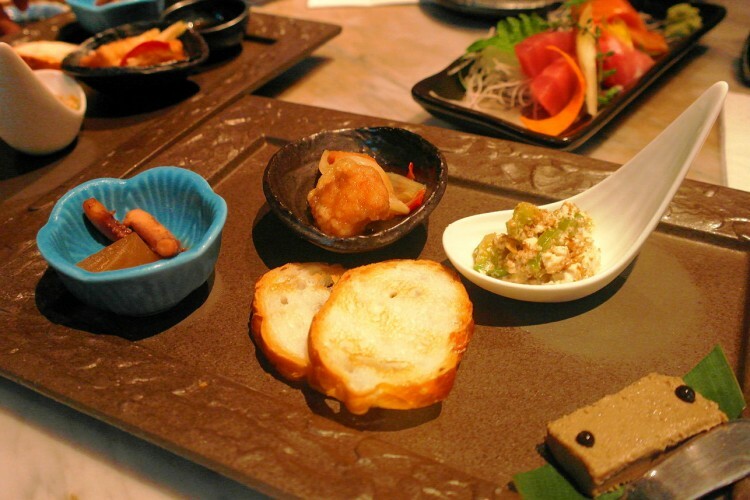 The dishes are served quite slowly though, so you will have to be patient and expect a long dinner. The restaurant is also an ideal choice for romantic dates, client meetings or even just a casual dinner. half here / half asleep. Bon just entered NS and is also trying to find his way as a writer or photographer.